Word came out recently that one of the originals of Furry Fandom, Mark E. Rogers, passed away this past weekend while out hiking with his family. Some might even call him a patron spirit of anthropomorphics. In 1984 (back when a certain group of Ninja Turtles were making their very first appearance) mark published his first book chronicling the adventures of Miaowara Tomokato, the Samurai Cat. 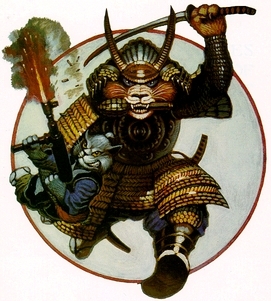 Almost every other page of Rogers’ Samurai Cat books featured a black and white or full-color illustration by the author, connected with the action on the previous page. Through a series of five such books of historical satire, Mark was one of the first to take anthropomorphics away from “funny animal” silliness and into something completely new, in a big way. Ron Miller has a detailed obituary of Rogers which he posted up on I09. Sayonara, Mark-san.